Hannah and Paul are selling a signed Guitar (a Yamaha Pacifica Electric) on their eBay account which you can bid for below. It has just been announced that Paul has joined the cast of the Rocky Horror Show taking to the stage this December starting in Brighton. Initial casting has been announced for the tour which begins in Brighton in December. The stars has been announced for the upcoming tour of The Rocky Horror Show, with former S Club 7 pop star Paul Cattermole joining Diana Vickers and Ben Freeman according to Baz Bamigboye. The production will mark Cattermole’s professional theatre debut having shot to fame in the pop band S Club 7 in the 90’s. Diana Vickers found fame on The X Factor before making a name for herself in theatre with credits including The Rise and Fall of Little Voice and The Duck House alongside Ben Miller and Nancy Carroll. Freeman is best known for playing Scott Windsor in Emmerdale and has theatre credits including playing Fiyero in Wicked on the West End and last year’s tour of Happy Days. Richard O’Brien’s cult classic musical tells the story of squeaky-clean college kids Brad and Janet, who stumble upon Dr Frank’n’Furter’s house when their car breaks down. It features songs including “Time Warp” and “Dammit Janet”, and last toured the UK in 2013, with a cast including Ben Forster and Oliver Thornton. 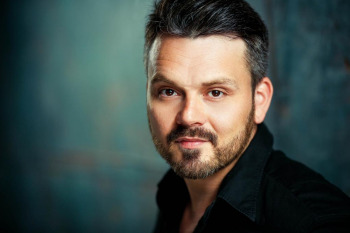 Paul Cattermole, will play the role of Eddie and Dr Scott. The X Factor finalist will star in the role of Janet Weiss. and Emmerdale actor will play the role of Brad Majors. Following his huge success in over 900 performances of the 40th Anniversary Global Tour of The Rocky Horror Show, Kristian Lavercombe returns as Riff Raff. Further casting will be announced soon. The tour kicks off in Brighton in December and calls at Manchester, Birmingham, Liverpool, Sunderland, Wimbledon, Torquay and Glasgow, with more dates to be announced shortly. Tickets are available to purchase from here and go on sale to the general public at 10am on Monday, 29th June.